Mysuru: Chief Minister Siddharamaiah will arrive in Mysuru on June 3 to participate in the programme ‘Kotta Maatu Ditta Sadhane’ to mark the completion of four years of Congress Government in Karnataka at the Maharaja’s College Grounds. The CM will leave HAL Airport on a special flight at 10 am tomorrow and arrive at Mysuru Airport at 10.35 am. Later, he will travel by road to Maharaja’s College grounds to launch the event at 11 am. Siddharamaiah is also scheduled to inaugurate the newly- constructed Office of the Joint Director, Department of Mines and Geology at Ramakrishnanagar (Dattagalli) at 12 noon and will also lay foundation stone for Senior Geologist (Mines) Office at Ramakrishnanagar and stay overnight in Mysuru. 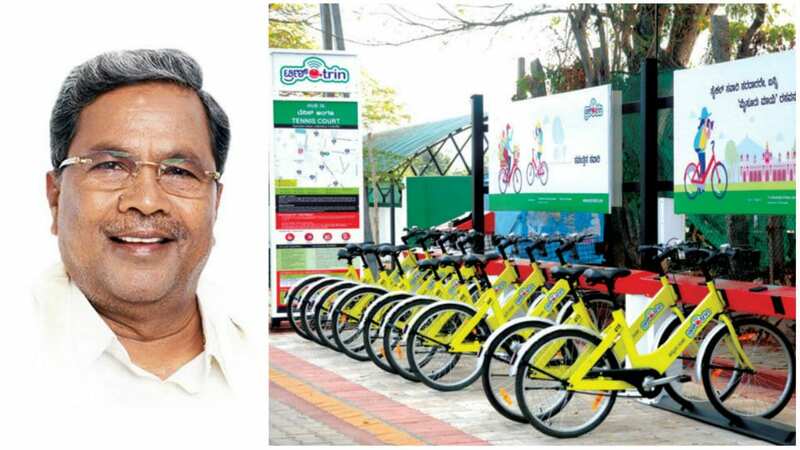 On June 4, the CM will inaugurate ‘Trin Trin’ Public Bicycle Sharing system at 9.45 am for which the venue is yet to be announced. He will later release the book ‘Naanu Kannambadi Katte – Heegondu Atmakathe’ authored by P.V. Nanjaraja Urs at a function to be held at Rani Bahadur Auditorium in Manasagangothri at 10.30 am. Later, he will leave by road to Hullahalli in Nanjangud taluk to inaugurate the new building of JSS Educational Institutions at 12.15 pm. After the event, he will travel by road to Mysuru Airport from where he will leave for Hubballi on a special flight at 2.40 pm. On landing at Hubballi, he will travel by road to Papanashi in Gadag to inaugurate the 24×7 drinking water purification unit and other development works.